The principle mission of the Monroe Police Department is to service the community by protecting life and property; by preventing crime; by enforcing laws; and by maintaining order for all citizens. It is essential for all members to remember that in the execution of our duties we act not for ourselves, but for the good of the public; we respect and protect the rights of all citizens and perform our duties with honesty, zeal, courage, discretion, fidelity and sound judgment. Central to our mission are the values that guide our work and decisions and help us to do tribute to the quality of life in Monroe. Our values are characteristics or qualities of worth, they are non-negotiable. Although we may need to balance them, we will never ignore them for the sake of expediency or personal preference. We hold our values constantly before us to teach and remind us and the community of our ideals. They are the foundation upon which our policies, goals and operations are built. In fulfilling our mission, we need the support of citizens, elected representatives, government officials, and the criminal justice system in order to provide the quality of service our values commit us to providing. We give first priority to situations which threaten life; we use force only when necessary; we treat all persons with courtesy and respect; we are compassionate and caring. We respect and protect the rights of all citizens; we treat all persons fairly and without favoritism; we are knowledgeable of the law; we obey the law. We do our best; we have a vision for the future; we seek adequate resources: staffing, facilities, equipment, training, salaries, benefits; we recruit and hire the best; we train and develop our employees to their highest potential; we are committed to fair and equitable personnel practices; we provide organizational mobility; we recognize and reward good performance; we support reasonable risk-taking and are tolerant of honest mistakes; we are receptive to new ideas and to change; we work toward realistic mutually agreed upon goals; we meet statewide recognized law enforcement standards; we lead by example. We communicate openly and honestly among ourselves and with the community; we understand the importance of community values and expectations; we are responsive to community concerns; we acknowledge our mistakes and are open to constructive criticism; we manage our resources effectively; we thoroughly investigate complaints against our employees; we take appropriate disciplinary action and or remedial action when needed. 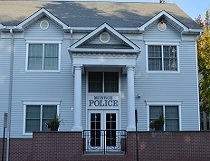 We work as a team; we understand our role in achieving Department and Village goals and objectives; we share the responsibility to serve the citizens of Monroe with many other agencies and organizations; we strive to understand those who disagree with us; we seek the help and cooperation of others; we seek to resolve conflicts; we rely on community support and involvement. We work to anticipate and prevent problems; we give a high priority to preventing crime and helping citizens feel safe; we actively seek opinions and ideas from others; we plan, analyze and evaluate; we recognize that crime is a community problem; we listen to problems and complaints with empathy and sensitivity; we seek innovative solutions. We are loyal, capable people who care about each other, striving together doing important and satisfying work for the citizens of Monroe and to the general public. The Monroe Police Department recently created e-commerce ‘safe zones’ in the front parking lot of the police department, and in the lobby of the department. E-commerce often involves strangers meeting in-person after negotiating a price for an item on Craigslist, eBay, Backpage, Facebook sale groups, and other websites. These safe zones provide an area for residents to complete online transactions in-person in a secure place. Police officers are constantly in these areas and both locations are under 24-hour video surveillance. The Monroe Police Department encourages residents to conduct these e-commerce transactions at police headquarters. Although the police will not be involved in any of these private transactions, the program is designed to provide residents with a known and secure location at which to conduct their private business.